On Saturday afternoon one of my colleagues took me on a little trip to help keep me awake. 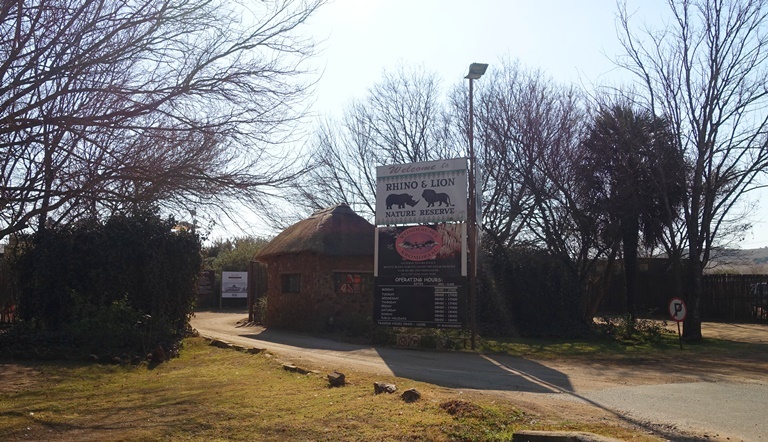 We decided to visit the Rhino and Lion Nature Reserve near Johannesburg. This evening I will share some of my pictures from the drive through the reserve. Here is the sign at the entrance of the park. I was looking forward to seeing the animals as we made our entrance. Some of the first animals we saw were Zebras and Ostriches. The pictures were obviously all taken from the car and unfortunately most were taken from a bit of a distance at maximum zoom. Hopefully you will get a feel for my trip though. 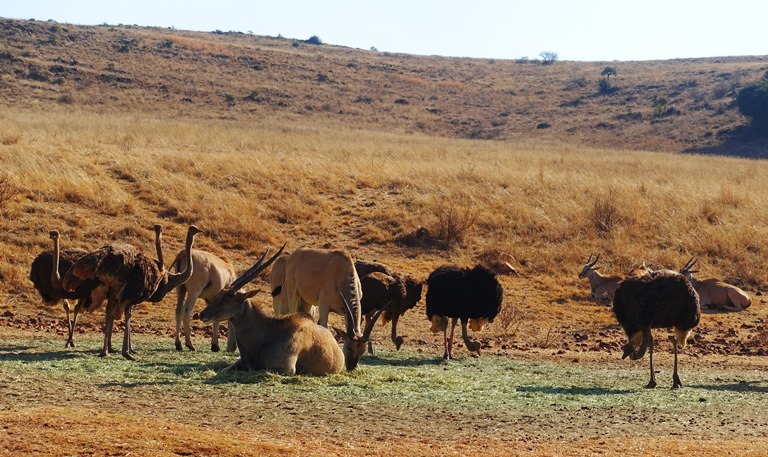 One of the animals that I really wanted to see was the Eland and here we several of them surrounded by more Ostriches. The Eland is one of the largest of the antelope family. 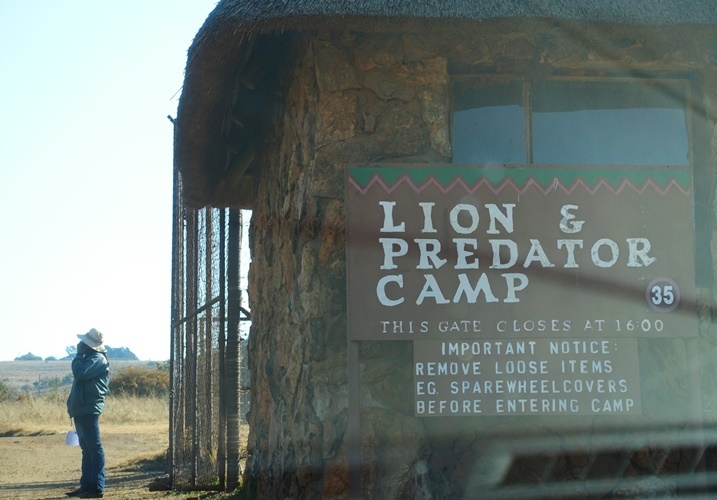 We were soon at the Lion and Predator Camp. I like the sign here that reminds drivers to remove all loose items from the outside of their vehicles. I was really looking forward to seeing the White Lions. I had seen some of these before in the Toronto Zoo. These lions are not albino, but rather have a recessive color gene. For more information about them see my post White Lions or White Lions II. 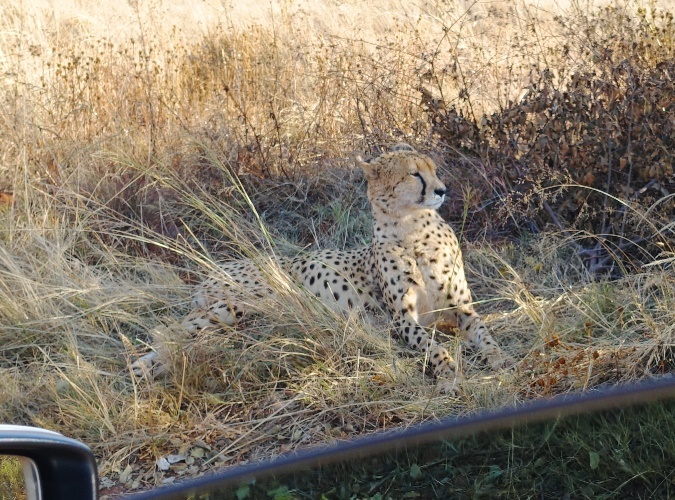 We almost drove right by this Cheetah that was resting by the road. They have such great camouflage. We made sure that the window of the car was not too far down, just in case. 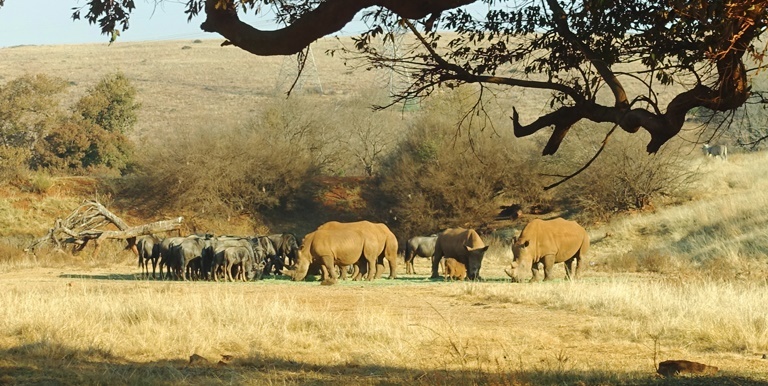 Here we see several White Rhinoceros along with a herd of Wildebeest. I plan on writing some additional posts about some of the animals along with more details. I hope you enjoyed this little overview. 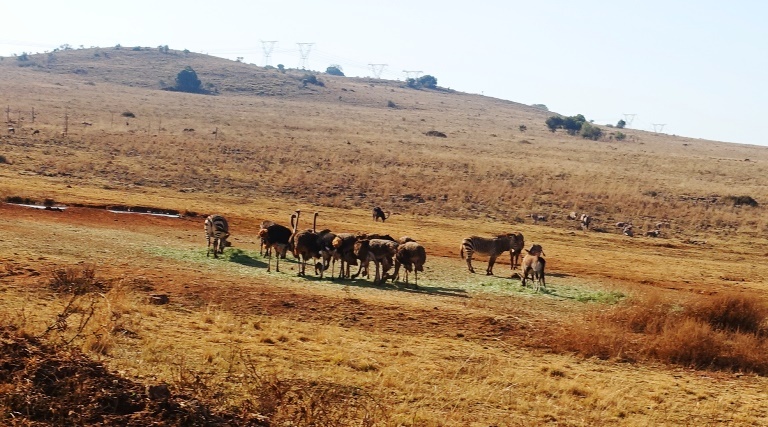 This entry was posted in Animals, Nature, South Africa, Travel, Zoo and tagged Cheetah, Eland, Lions, Nature Preserve, Ostrich, Rhinoceros, White Lions, Wildebeest. Bookmark the permalink.